Imagine coming home from a grocery run and immediately tossing out a third of the food you purchased. It feels wasteful, doesn't it? And yet, that's exactly what is happening in the food system on a much larger scale, due largely to inefficiencies in food supply chains. Every year, approximately 1.3 billion tonnes of food is lost or wasted around the world – an amount that, incredibly, could feed almost half of the world's population. We must do more to reduce food loss and waste. 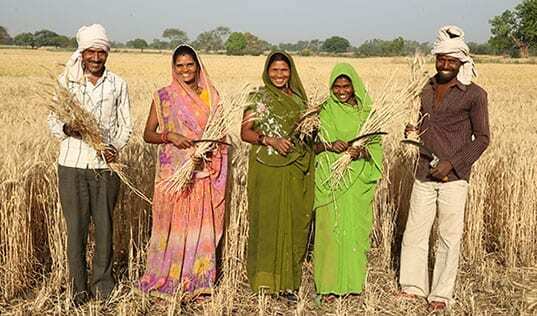 Food loss begins early in the process – on farms and during or after the harvest. Food waste is defined more broadly, occurring after the harvest, such as when consumers throw away food that has spoiled or is even just slightly past its sell-by date. It's an economic challenge. By 2050, the world's population is anticipated to hit 9 billion. Food shortages are a very real possibility in the near future. And yet, we are not doing enough to save all the food that is currently being wasted. It's an environmental disaster. If "food waste" were a country, it would be the third-biggest carbon dioxide emitter in the world. And it's a blow to 500 million smallholder farmers worldwide, costing them at least 15 percent of an already-precarious income. With a problem that touches so many different sectors and systems, we need a solution that is equally comprehensive. As the leaders of one of the world's major food companies and an international development nonprofit specializing in business approaches to reducing poverty, we believe that solutions based on economic principles and cross-sector partnerships are essential to solving this crisis. 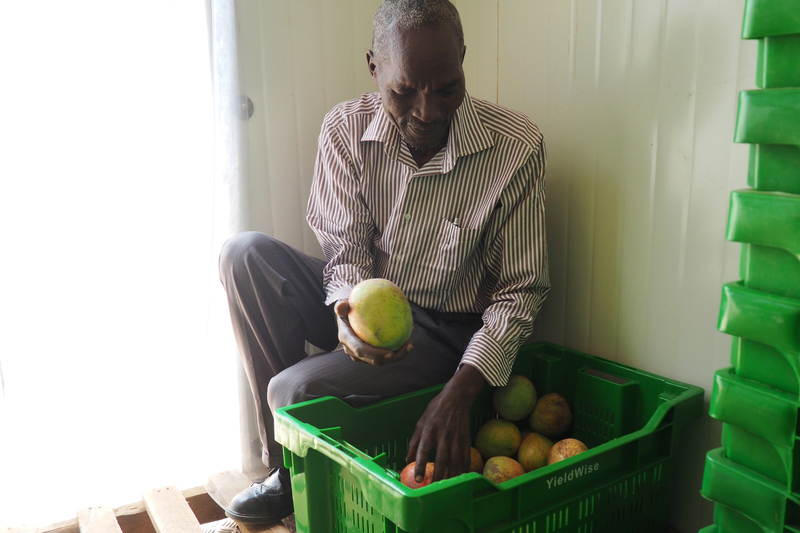 John Musomba drops his mango harvest at his farmer group's solar-powered refrigerator. These units extend shelf life and allow farmer groups to sell when the price is right. Some of the biggest food challenges arise during the harvest and post-harvest periods. In 2015, Kellogg launched a Postharvest Loss Reduction Program to study and to help fix these issues in our supply chain, working with partners like TechnoServe. Farmers in the program learn the best times to harvest crops; proper sorting, grading and packing methods; and the best ways to store crops to reduce spoilage. We also work with farmer business organizations to help them access financing, aggregate crops, and sell to larger buyers, which improves efficiencies throughout the market system. And there's so much room here for innovation. One example is the cold storage facility project that TechnoServe is supporting in Kenya. It uses solar power to refrigerate up to 3.5 metric tonnes of fruit, extending its shelf life. A truly "cool" fix like this helps farmers like John Musomba in southern Kenya, whose farmer group can now choose the best time to sell their mangoes, earning them ten times more income than before. 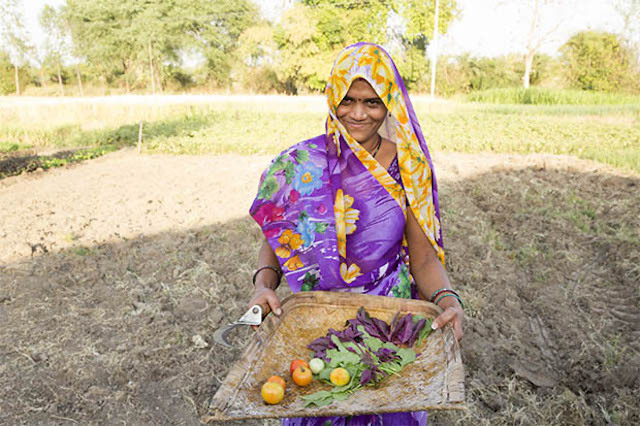 This kind of integrated approach – working closely with smallholder farmers as well as the market system around them – is the first critical step in reducing post-harvest loss and food waste. A TechnoServe farmer trainer instructs farmers on best agricultural and harvesting practices in India. Food manufacturers like Kellogg have an important role to play in this issue, and we have committed to reducing food waste within our manufacturing facilities. From 2005-2016, we cut our landfill waste by 68 percent, and now aim to reduce total waste in our facilities by 15 percent per metric tonne produced by 2020. Partnerships are crucial to long-term progress. We are proud to say that Kellogg was one of the first U.S.-based companies to join the global coalition, Champions 12.3, and become a Food Loss and Waste 2030 Champion, with a commitment to cutting food loss and waste by 50 percent by the year 2030. Along with other food companies, Kellogg is also working to standardize food date labels (the "sell-by" date is not a "spoiled-by" date! ), introduce packaging that limits food waste, and educate consumers on conserving food. Individuals, of course, also play a key role. Shoppers often reject produce with slight blemishes, leading retailers to toss out a shocking one-third of their food. Clever campaigns such as Intermarche's "Inglorious Fruits and Vegetables" are starting to convince shoppers to give imperfect produce a chance. These are just some of the more effective approaches we have seen and undertaken as we battle this grave global concern. There is much, much more to do. Individuals throughout the supply chain – from farmers to local processors to major food companies such as Kellogg – must recognize that their business interests lie in reducing food waste, even if it's difficult in the short term. 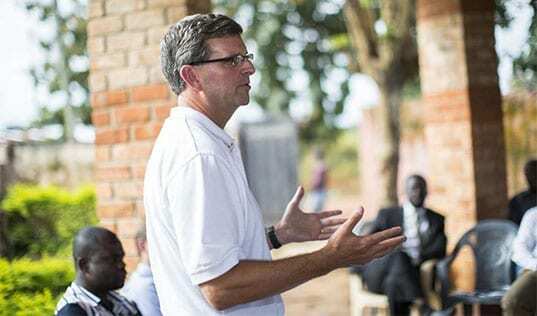 Partnerships with nonprofit groups such as TechnoServe and Champions 12.3 can light the way, applying both new approaches and institutional knowledge to their work across sectors. Governments can develop laws, directives, and awareness campaigns to discourage food waste. And we consumers can always freshen up our food practices, starting, for instance, with these tips from the U.S. Department of Agriculture. Like most complex challenges, reducing post-harvest food loss and food waste will take a long and dedicated effort. But for the health of our people and our planet, it's a fight we can't afford to lose.